The olympics are on right now, I don’t watch, but I hear people talking about how ‘big’ and ‘muscular’ the mens gymnasts are. So I looked up the height and weight of some of the gymnasts in the current olympic games. Not surprisingly most of them are well below what is considered average height for a man in north america. For comparison, the average height of a man in north america is 5’10. The average height of the mens gymnastics competitors I looked up with closer to 5’5. In north america 5’5 is a short man, no other way to say it. 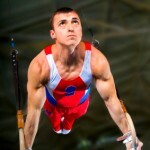 The mens gymnasts are also very light compared to average even tho they exhibit significant muscular development. Their bodyweights are in in the 120-140lbs range. Again this is very light compared to an average man. When viewed in isolation away from their coaches or other ‘normal’ sized people, these gymnasts seem like hulking huge muscular men. Then you see them standing next to a coach or some other average sized person and realize how short and small they really are. And this is the illusion of size. Being lean and muscular can make you look significantly heavier and bigger than you really are. This is also a demonstration of what we call ‘shirt off’ big vs ‘shirt on’ big. Certainly none of these athletes would seem ‘big’ in regular clothes as they wouldn’t take up much space at all and would be wearing size small clothes across the board (if not smaller). 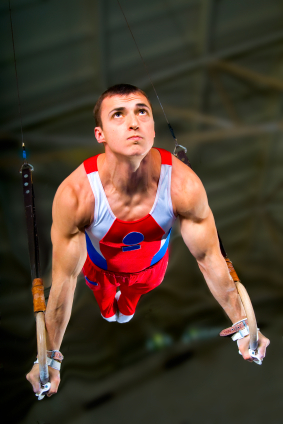 But take their shirts off and it’s and entirely different story – layers of thick well developed lean muscle is standard issue on a mens gymnast. I’m not going to comment on how they built such bodies and whether or not drug use is involved or how many hours of training is involved, the point of this post is simply to bring to your attention the illusion of size and remind you that the leaner you are the bigger you look (no matter how tall or short you are). Lean, defined muscles always, always trumps overall size.